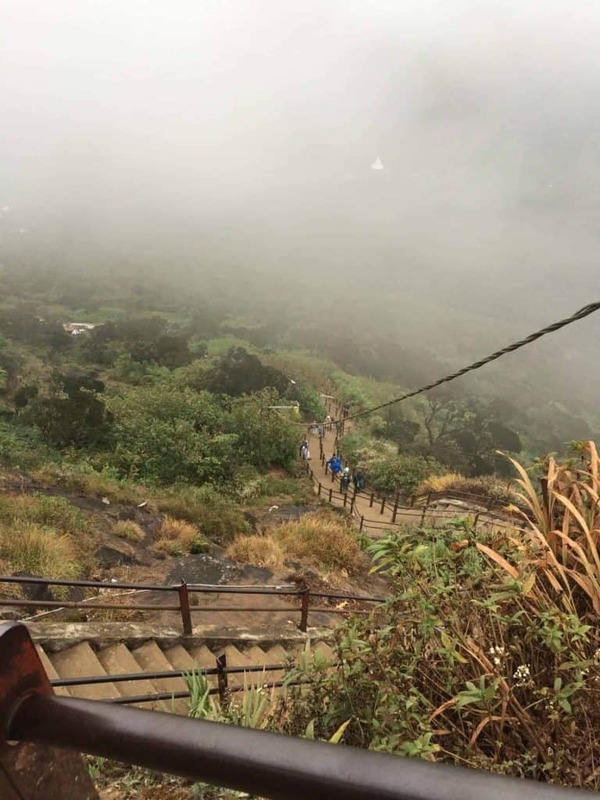 There are a bunch of reviews online about the experience of climbing Adam’s Peak. Most of them say that it is difficult, but definitely not impossible. While I agree that it does not fall into the “impossible” category it certainly is one of the most physically exhausting experiences you will ever have while travelling. (unless of course you are already well experienced in mountain climbing). Most reviews say that you need to start at 2 am and you can reach the summit at 6 am to see the sunrise. I do strongly recommend at you start at 1 am so that you have ample time to build up pace and rest for little bits of time on the way up. I made the mistake of simply checking the weather on my phone app and then bringing a simple hoodie along for the trek. 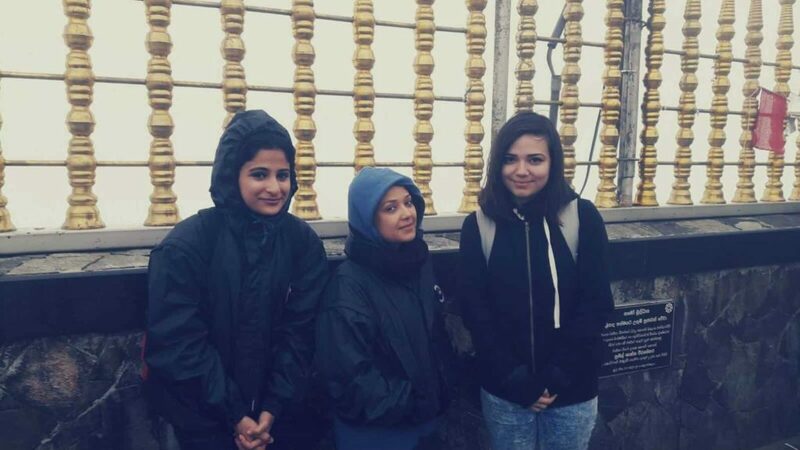 After all, it said the temperature would be around 14 C. What I didn’t account for was the windchill and mist at the summit which made it easily feel like it was below 5C. Keep a lightweight windbreaker in your backpack (no point on wearing it from the start as it’s usually much warmer at the base). You can also rent a jacket at the last tea shop along the way (but there is no guarantee of availability) so best to keep one with you. 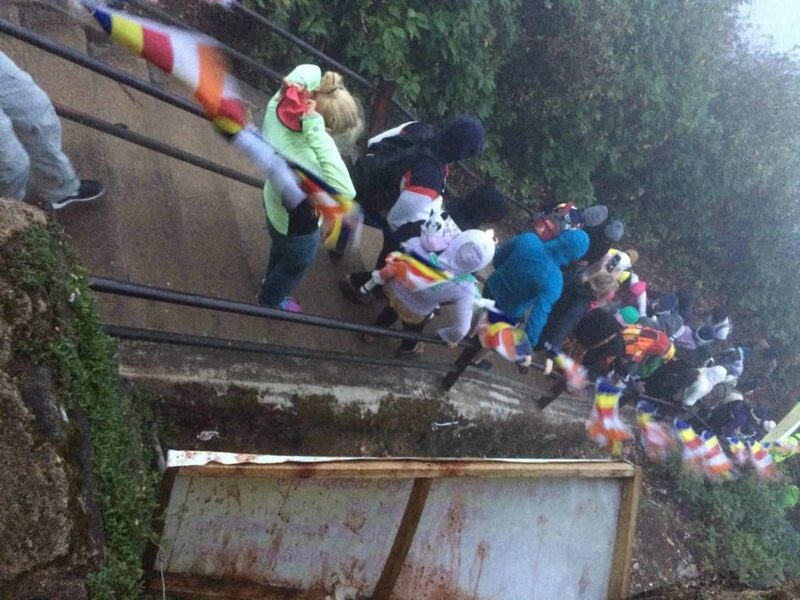 Although the climb till the top is generally quite safe due to the large number of tourists, families, and all kinds of people, both young and old daily visiting the holy site, there can be the occasional unpleasant characters you might come across if you are a female or a group of females hiking up alone. These people usually don’t do much more than stare rudely, follow you from a distance for a while, or some name calling, but it’s always better to be on the safe side and rush along the deserted paths and allow yourself to slow down if you want when there are more people around. 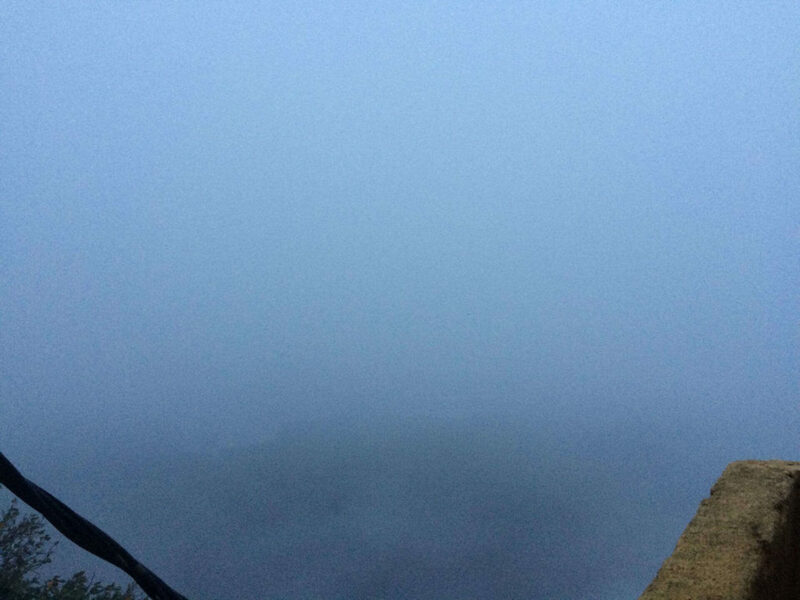 I thought it would be a bit of a disappointment that after a 5 hour climb that one would not get to see the sunrise, because all you can see around you is a cloud of mist. It was not the case however. 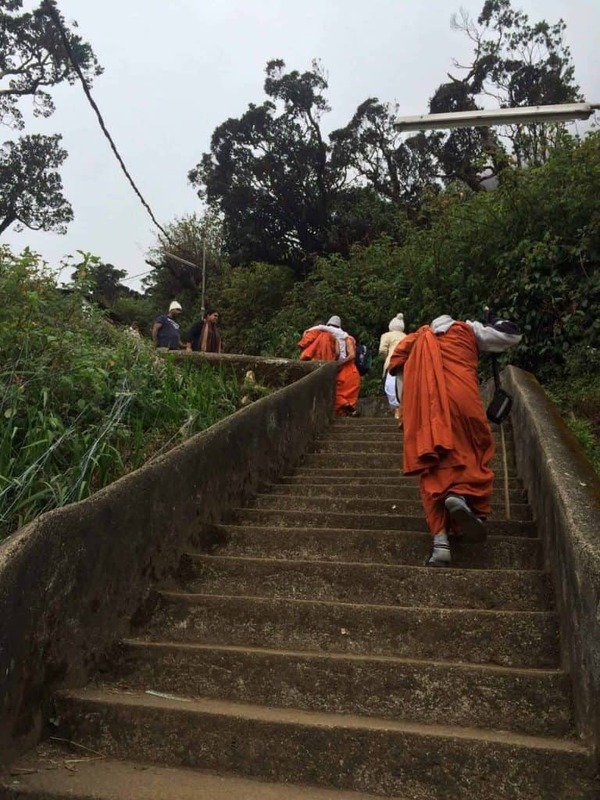 Simply the realization that you have made it to the top and then watching the hauntingly beautiful Buddhist ceremony at dawn is a very spiritual experience in itself. A likely thing on your mind when you reach the top will be that “Oh Great I made it! Can’t wait to go back to the hotel and take a long nap” – I would advise you not to rush it on the way down. It may take you an extra hour but take your time to descend and enjoy the beautiful sights you see on the way. 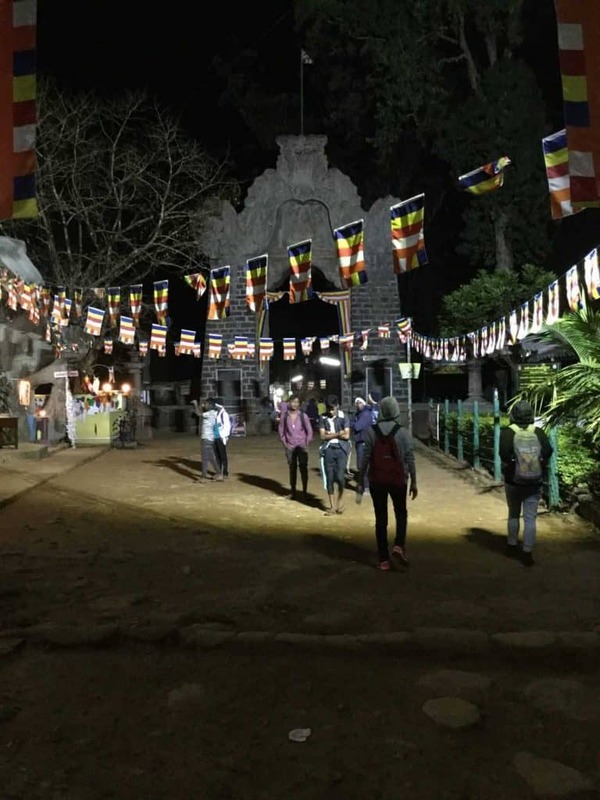 The landscape which was totally dark and deserted during the nighttime climb looks simply beautiful on the way down – don’t miss it by trying to rush. I’ve been a silent reader of your blogs for quite some time. Your blogs are very well written, simple to undertand and yet address the core fundamentals that go into any travelling. 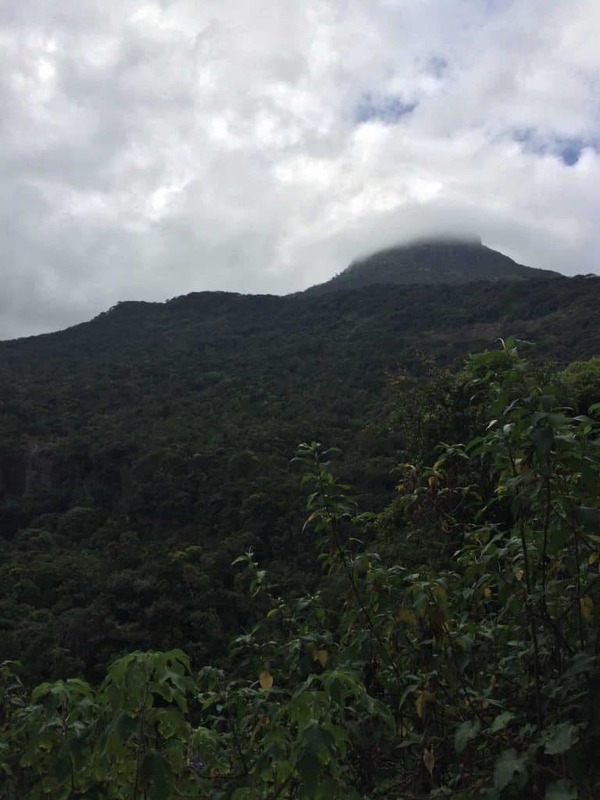 Loved what you had to say about Adams peak. Maybe one day if I get a chance, I’ll get a feel what this peaks all about. However, my two cents for a mild trek to a intermediate level trek would be too carefully plan ahead of you. In my experience, for such treks you shouldn’t over burden yourself by bringing too much !! Food items are an absolute essential, as Urooj mentioned foods that give energy are excellent. Similarly, I found protein bars very effective. They give you instantaneous energy. They are also readily available, I found *clif bars* very good. Secondly, as Urooj mentoned that warm clothing are an absolute essential. I would like to say that most people bring heavy and bulky jackets etc . Protecting your self from cold would be ideal if you layer up. More layers would keep you warm and comfortable in extremities. A soft shell is an excellent option. It acts as a mild water repellent and protects from the wind. Lastly the shoes that you’re wearing/using. I would discourage people from wearing ordinary tennis shoes when walking is required for certain distance. Ankle high shoes protects, your feet and provide an adequate traction. A decent pair of ankle high shoes are a must, when walking on an uneven surface is required or there is an element of rain. Lastly, I always say whenever you are into the wild doing something out of routine, always be prepared. Learn basic survival tools. Thank you so much for all the appreciation. It means a lot. Really glad you liked the blog post. Everything you mentioned is really useful; I agree, never EVER carry too much in your backpack while trekking, you will regret it later! Haha.